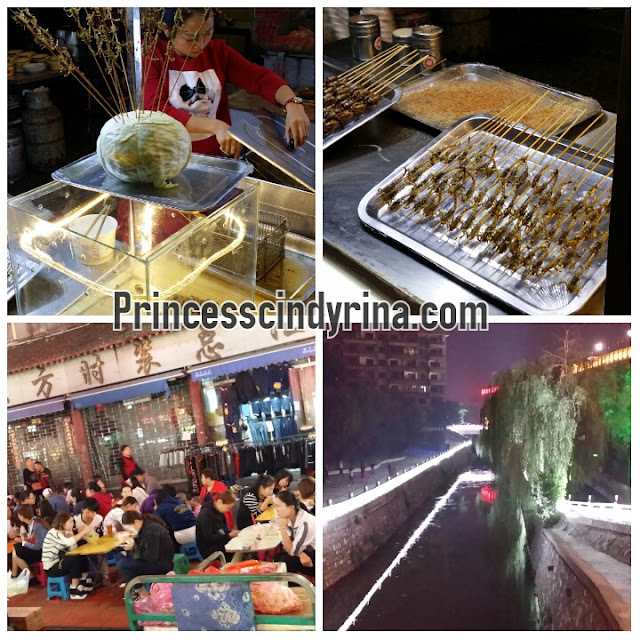 Luoyang is another interesting city to visit while in Xi'an. Luoyang served as cradle of the Chinese civilisation as it was the capital city of 13 ancient dynasties from Xia Dynasty.When talk about Luoyang people will relate it with Longman Grottoes and Shaolin Temple. So many will just take a day trip from Xi'an. I decided to explore this city for 3D/2N and I find it has more than I can imagine. 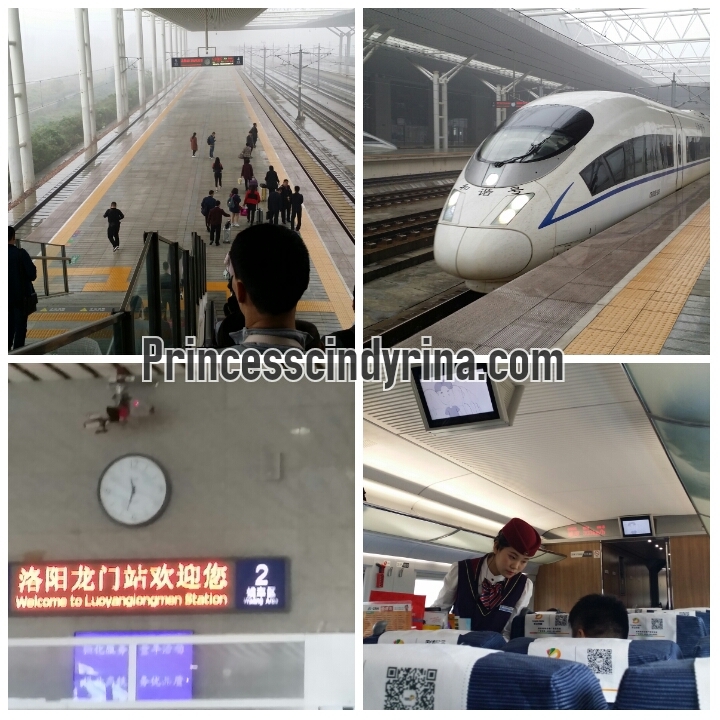 I took 1 hour high speed trains from Xi'an North to Luoyang Longman Railway Station. I pass through Mt Huashan which I really wanted to climb but unable to do so. WTH! sad! 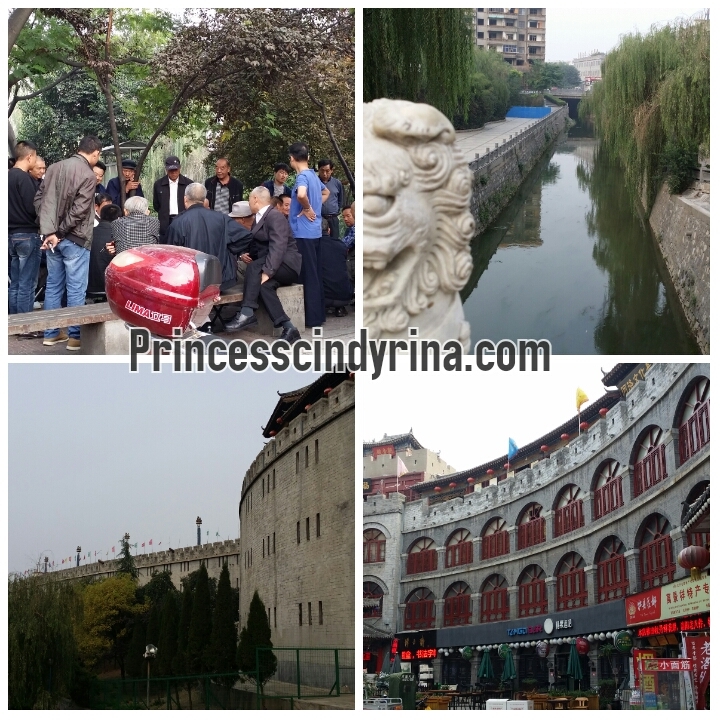 I reached Luoyang around mid afternoon. 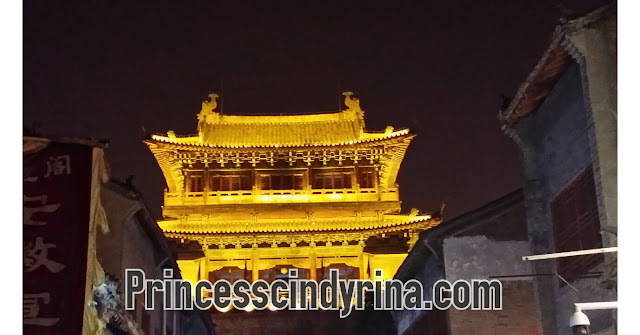 After check in to my hotel then I head down to reception asking them the best way to Laocheng or Luoyang Old Town District. Since no subway here , the best transportation is taxi ride. I took around 30 minutes taxi ride which cost me around 12 Yuan from hotel. The reception boy told me to wait till evening and enjoy the seafood galore at the night market nearby. 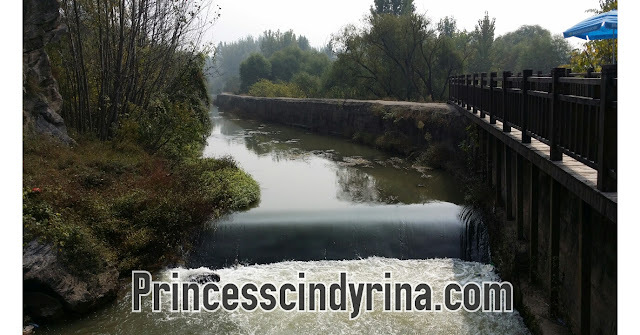 So...here I was exploring this Luoyang Old Twon district which located in the northeast of Luoyang in Henan Province. 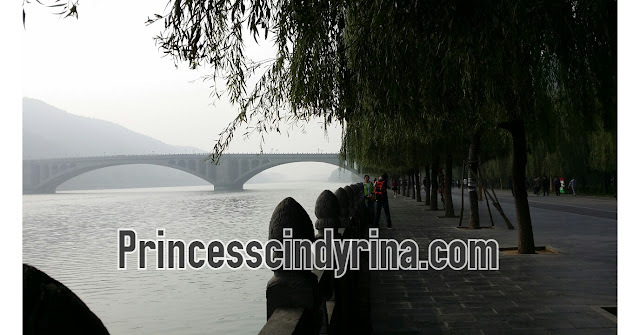 Interesting that this old town sits against Mengshan Mountain and faces Longmen Grottoes with Luo River running through it. 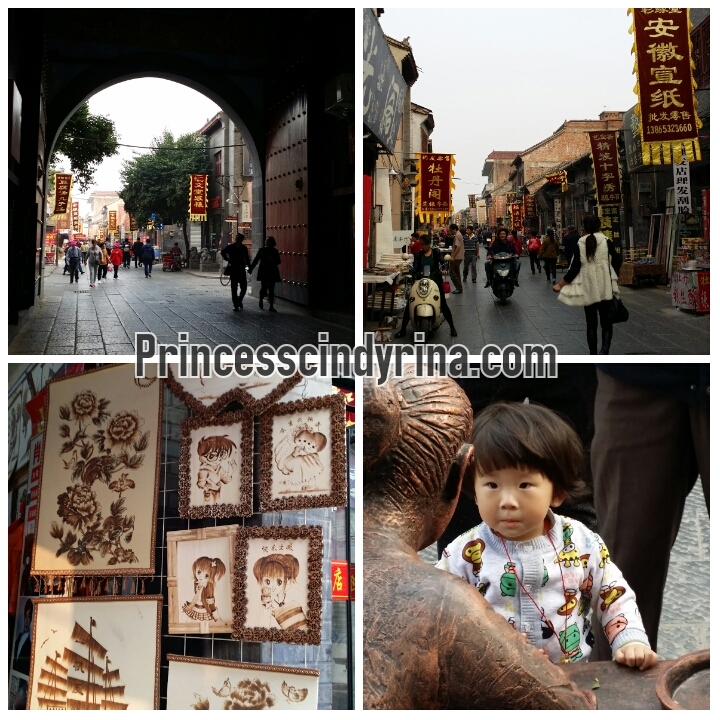 Lijing Gate is the entrance to Luoyang Old Town District and this is the landmark of this place. Walking through that Lijiang Gate is like walking into another world. I love that high and thick wall and also that spacious watchtower. In ancient time this place boosted the economy with it streamed of merchants trading merchandise. Now many shop selling antiques , arts ,calligraphy and painting works. 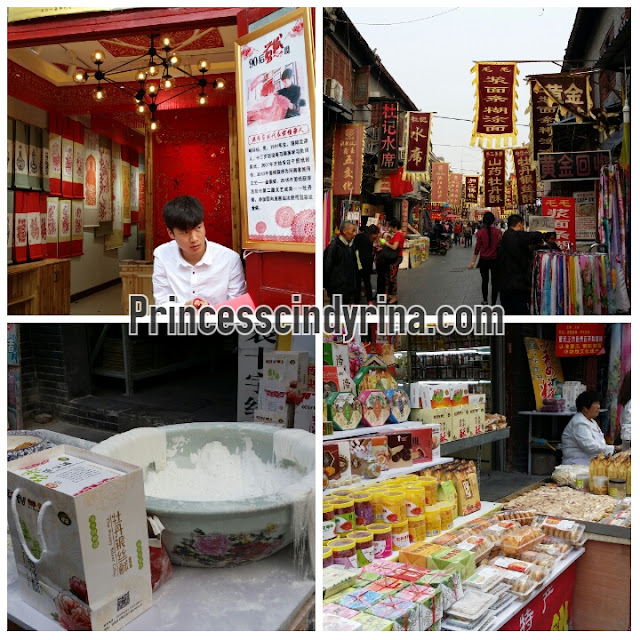 The specialty here is dragon beard candy, rice cakes , peanuts and other street snacks. 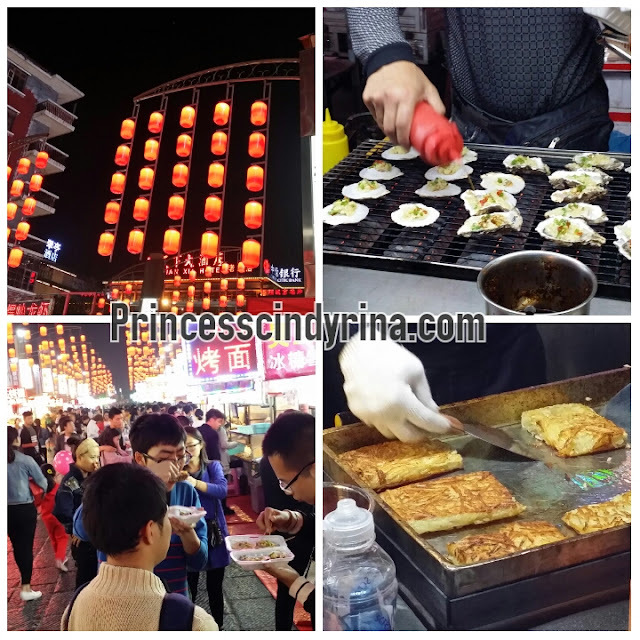 Explore the street until late evening and you will see another side of this Old Town transform into super busy night market which make you wonder whether you in Luoyang or in Shinlin, Taiwan? Its like another street food heaven here. Many youngsters from nearby University too. This is the seafood galore that hotel boy told me. mmmmm...how do I put it? To me the taste is just up to par. I don't fancy it at all. There are halal food here too by Muslim Chinese here. But not as many as Muslim Quarter. Those youngsters really know how to enjoy street food. I tried some grilled oyster and squids. 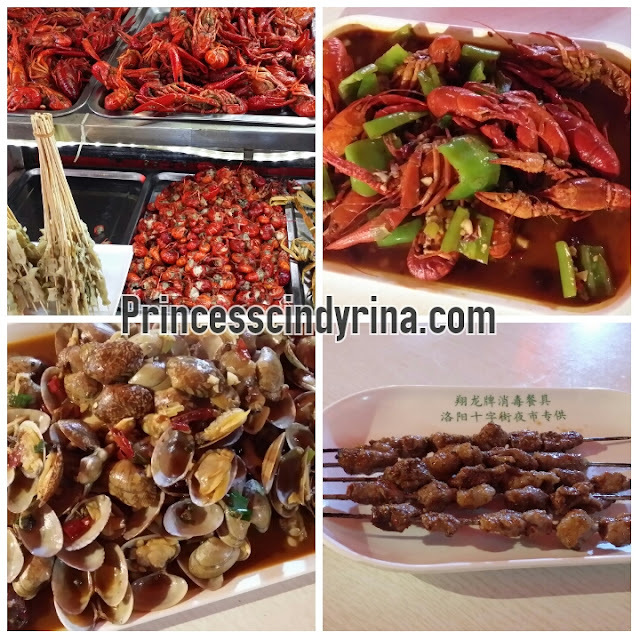 Then sat on one of stall enjoying stir fried clams and small prawns or lobster. 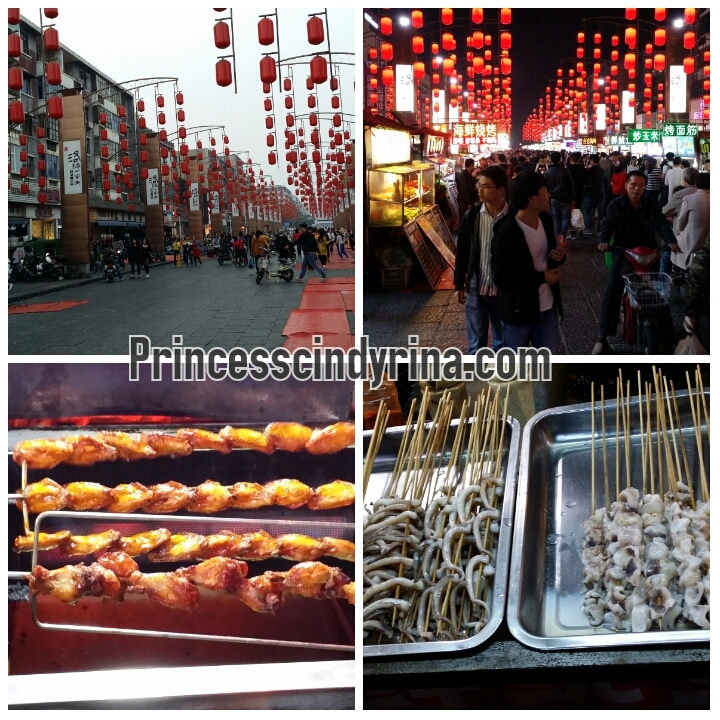 I was overdosed of seafood in Luoyang and overdosed of Lamb in Xi'an. WTH! Lijiang Gate at night is beautifully light up. 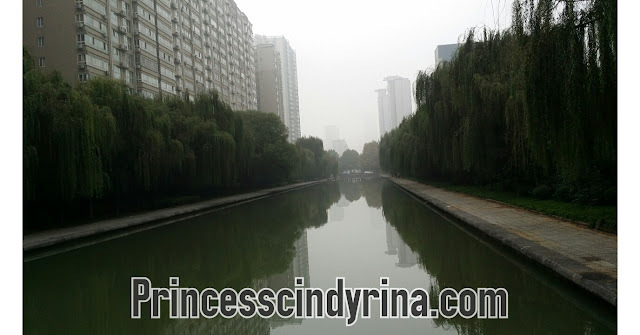 If you have time can take a stroll along the Luo River at near by garden. The next day morning I took cab to Longmen Grottoes parking lot. From there I head to purchase entrance ticket 100 Yuan and another 10 Yuan for electric car ride. 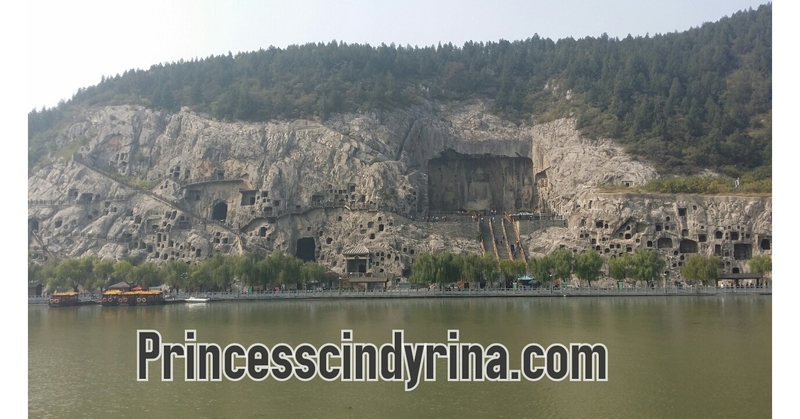 I recommend you to pay for that 10 Yuan to ride 10 - 15 minutes ride to beginning of Grotto trek. If you don't do that...mmmmmm...your armpit will sweat and your knee will suffer walking even before you start your journey at Grotto. 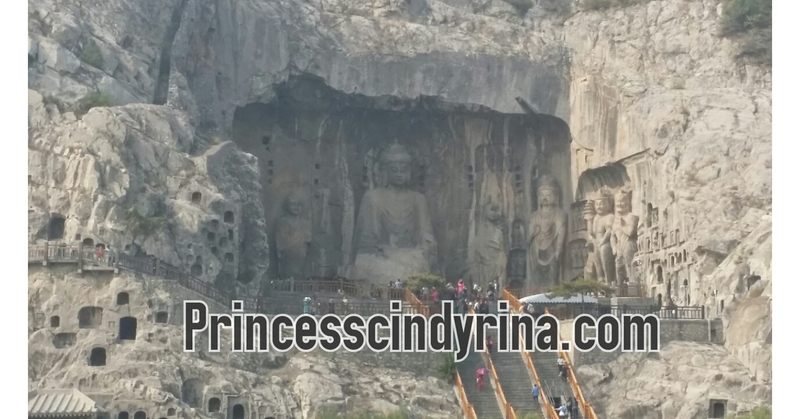 You will expect 2 - 3 hours walking up and down staircase to see Buddha carvings on both east and west bank of river. There are thousands ranging from palm side to 50 feet high. I read this thing built over 400 years ago by different emperor families. 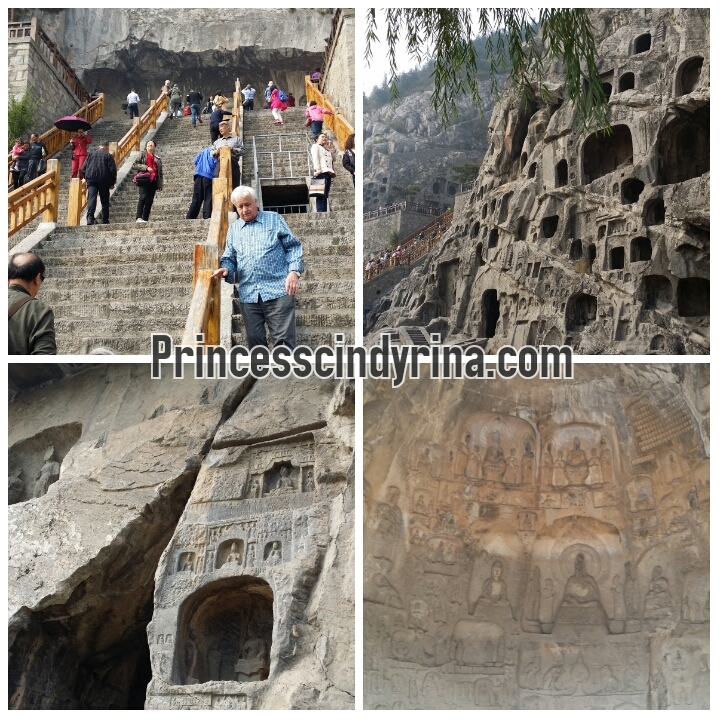 I just took that steep staircase with help of my walking stick which I brought with me to see the gigantic carving. 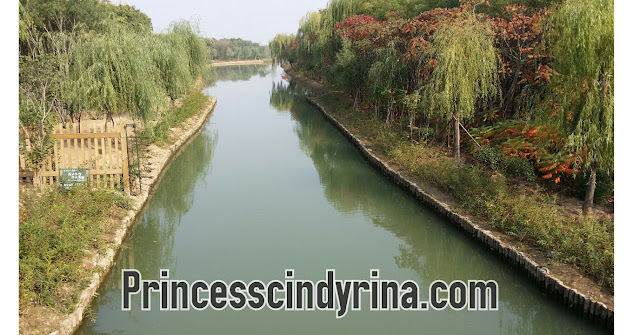 Then I spent my time strolling by the Yi River bank and enjoy the breeze of air with view of my favourite willow tree leaves dancing above my head. mmmmmm...so romantic if suddenly see a hot guy and have that fall in love at first sight moment. I sat down have a little apple and dates picnic here.You can pay 25 Yuan for one way boat ride across the river though. I choose to walk and enjoy some peanuts I bought from Old City while walking on the bridge crossing the Yi River. The view is beautiful too. 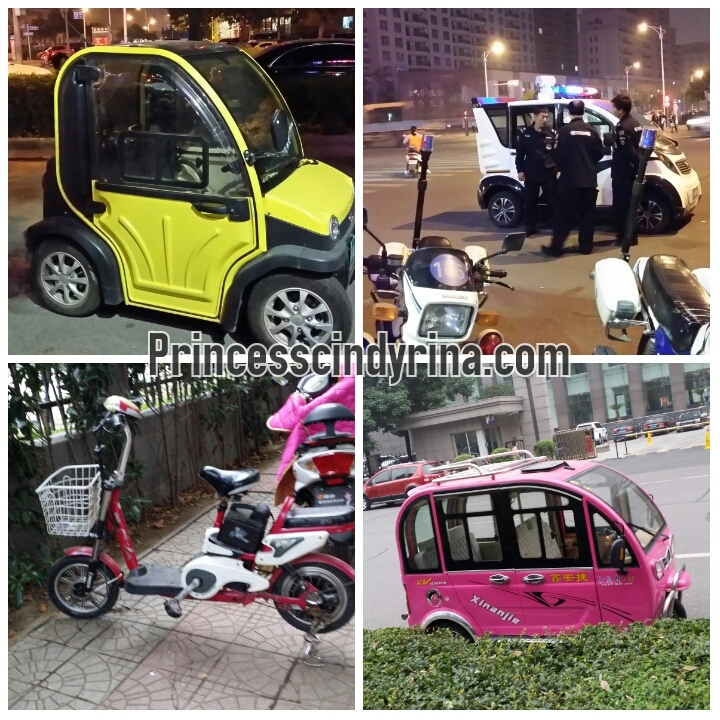 Then pay 10 Yuan again to get back to the Grottoes parking lot for Taxi ride back to the city. I took the cab ride which cost me 32 Yuan from Grottoes to Emperor Carriage Museum. Quite expensive because the journey around 1 hour from Grottoes. hehehehe...I don't know it would be this far. If I were to visit this place the day before than it will be nearer because this place is near old city. I paid 30 Yuan for the enterance fee. This place is very small and it sort of underground museum. You just need to spend 1 hour of your time to explore it. This place is the open excavation of the ancient tomb site. In ancient time China Emperors were buried with everything they would need in the afterlife. Well...this remind me the Firaun of Egypt! Emperor's horses would have been most precious possessions. The tomb itself has been relocated elsewhere but the horse and chariot are as what you see in that photo. Amazing discovery isn't! 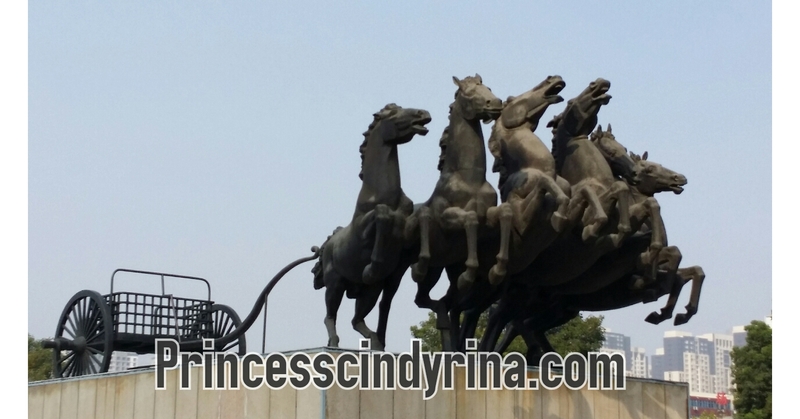 I still have energy to explore Luoyang after the Emperor Carriage Museum. I then took another taxi ride to Sui and Tang Botanic Garden. 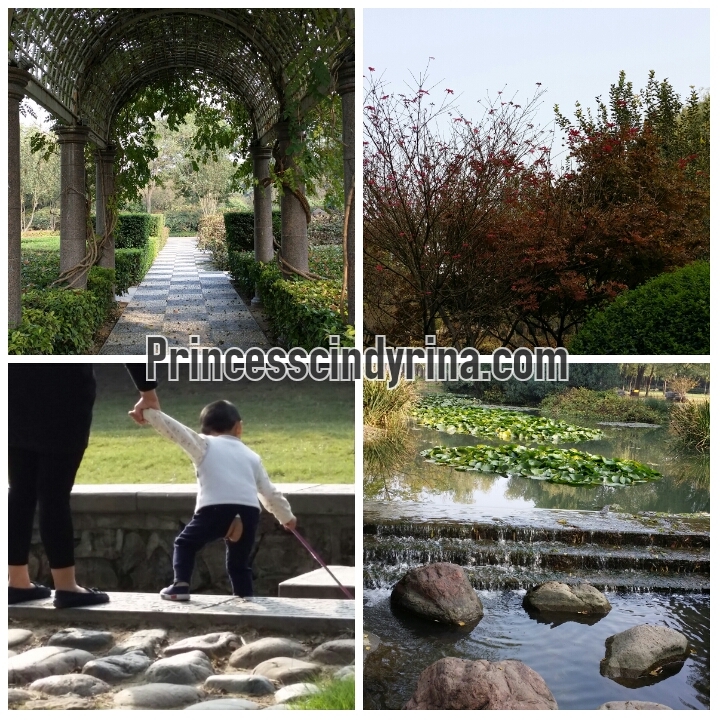 Exploring this beautiful garden in late afternoon gave me peace of mind. Recommended to wonder around this beautiful garden after overdosed of Buddha carving at Grottoes and dead horse remaining display. Well...that a common side in China. That boy pant purposely torn for convenient peeing and pooing. Remember saw one boy sitting across me with his small elephant trunk sticking out while I was boarding bus from my hotel to railway station to get bus to Terracotta. WTH! When first read about Luoyang being an Ancient Town , my imagination this city will be a run down poor city. But I got it totally wrong. Look at all those tall building like a land of Pagodas in Bagan Myanmar. Most residential in the high rise buildings. The street are properly maintain and manage. Its a clean city too. The people are hardworking for own surviving. Pretty cute electric car and battery bike is everywhere too. They are much advance from Malaysia. I really impress with how fast this place evolve despite their thousands of history. 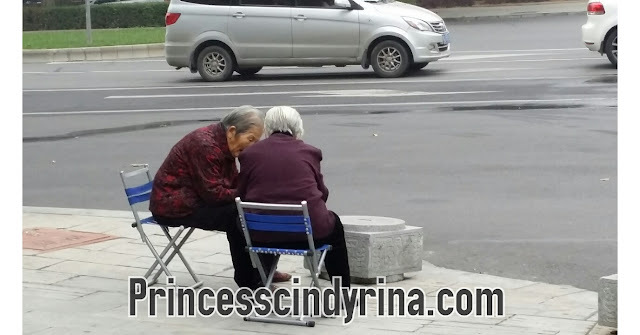 I was exploring the city on my last day and saw this two old ladies chatting away in front of the traffic light junction. They are just sitting down while waiting for the light change for them to cross over to the other side. So convenient and relax life. Interesting! 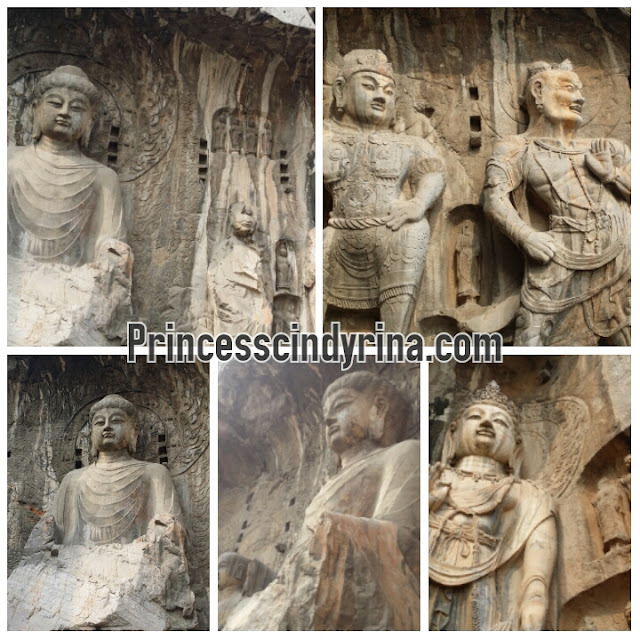 wow , the Longmen Grottoes looks so historical and awesome place to ....thx for the itinerary . Love your travel posts! Thanks for sharing your itinerary and experience. a history and view worth to visit. Another place in my bucket list China. Thanks for sharing. shall tell my dear of this place soon. China - the 1st impression place is - The Great Wall. There's still a lot of nice places to explore. Enjoyable trip to Luo Yang! Shall keep your post for reference in future! 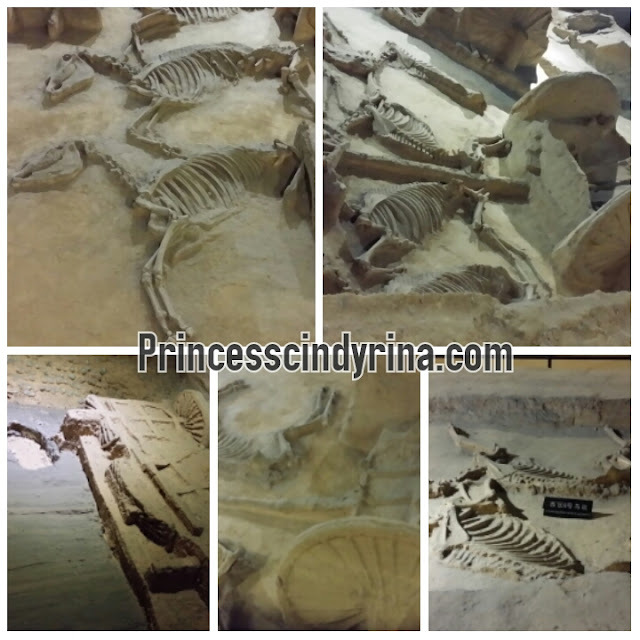 A beautiful place full of ancient historical stuff and beautiful scenery! Frankly speaking I have not even heard of this place and it looks beautiful and unexplored . My, what an experience you had. I cannot imagine me travelling alone to a place like this, I would feel lost and sad that I would not have anyone to share stories with. one of my travel list!! !Love to visit historical place!! such an interesting place to visit! seems like there are a lot to offer. 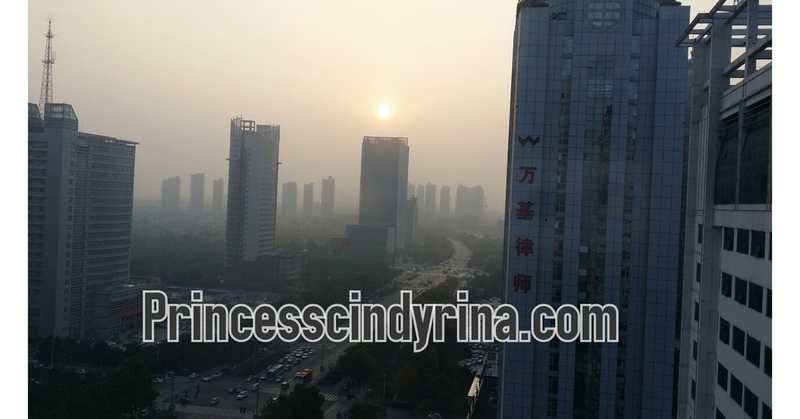 I've been to xi'an. I really liked the place. Would definitely go back again when I have the chance. Love the ancient and historical sculpting. The street food looks tempting! So much of history in these places. Very well photographed and presented. Have not visit China yet. But it seem many nice food to explore and their transportation more advance than us. I saw the bullet train. The scenery is beautiful. I am amazed by the neatness of the highrise buildings as well. You sure find the best places to travel to! Such a lovely place to visit. I wanna go too!